This book offers the inspirational story of an unlikely friendship and the two men who collaborated in an extraordinary way to begin to help heal centuries-old wounds. 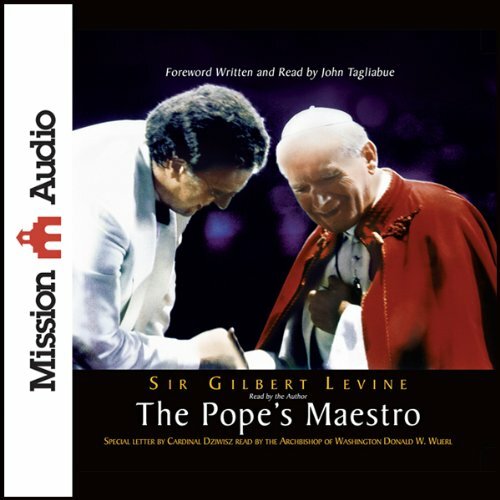 For two decades Sir Gilbert Levine and Pope John Paul II collaborated on symbolic acts of reconciliation: a series of internationally broadcast concerts designed to bring together people from all religious backgrounds under the auspices of the Vatican. These concerts broke new ground and demonstrated the Vatican's desire for rapprochement and even atonement in its relationships with Jews around the world. And it resulted in Sir Gilbert recovering his own Jewish faith in a deeper and more meaningful way. This is a compelling tale of faith, friendship, and the healing power of music to bring people together. This is an inspiring story about someone who really makes a difference in life using the gifts that he was given. I couldn’t stop listening - I got through all of it in a day and a half.